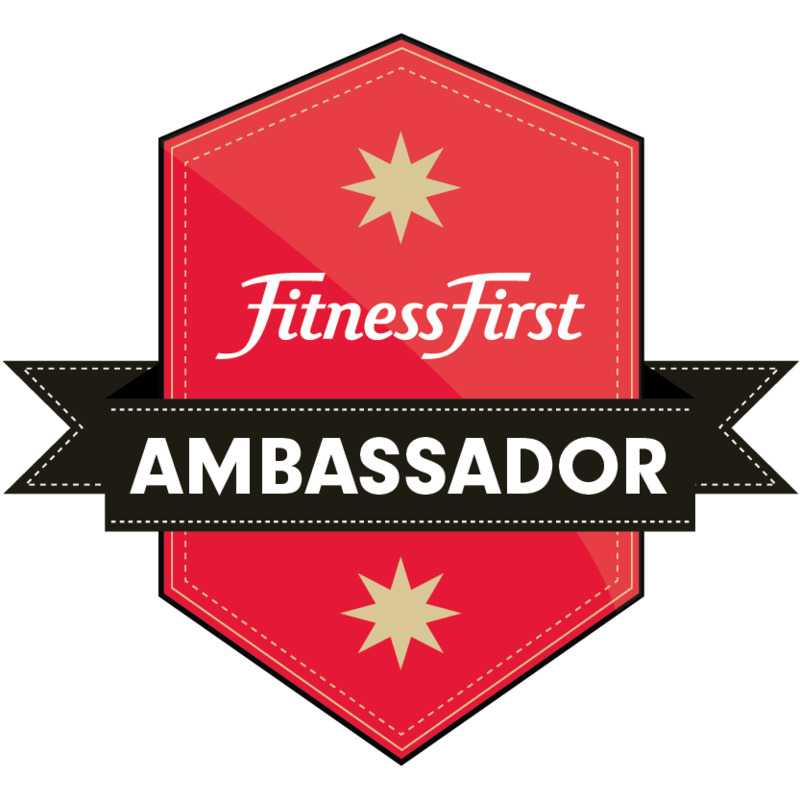 Before I left for my marathon in DC, I got an invite from Fitness First to assist them in their latest project – Lets Get Personal. Since I have been member of FF for a couple of years now, and I have been very truly satisfied with their service, I gave my commitment! Recovered with a few (not really but actually a couple…. okay a lot actually) pounds, I headed to the Fort Bonfacio branch to meet Personal Trainor DJ Marcelino, whom I got matched with online thru this link – Let’s Get Personal. 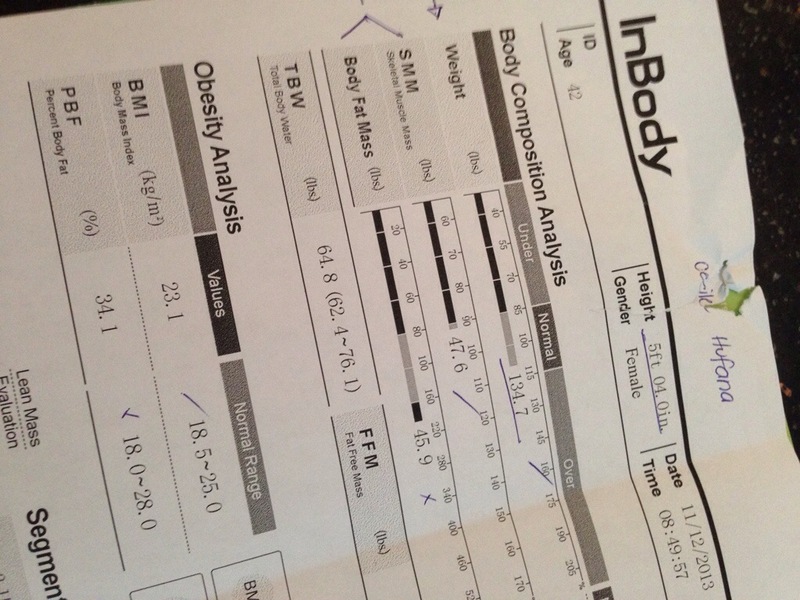 Since DJ is not the trainor that has handled me for the last two years, he had to do an assessment of my present body type, strength and workout capabilities. We discussed also my goals for the next six months, weaknesses, future races, and injuries I’ve had. I know most have gone to the gym and have not trained with a Personal Trainor, but why do I train with one for the past two years? Let me enumerate why…. FF first step is to assess the body mass! Really now? 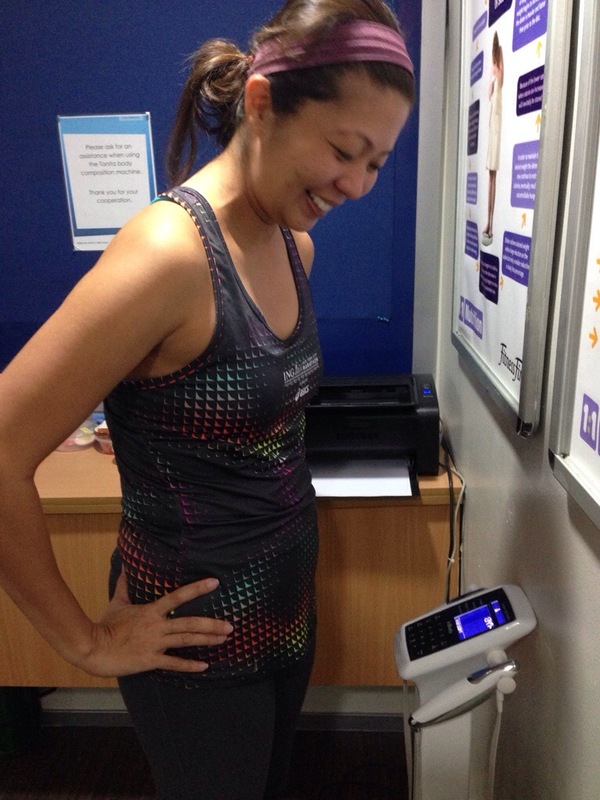 There must be something wrong with this hi-tech weighing scale! Haha! Hmmmm…. everything scientifically measured, now in black and white! Yes it was a shot intended to make you have a hard time figuring out my weight! 1. Personal Trainors have been certified to teach the correct and safe way of working out. So, do not go to the gym and copy what the others are doing. These people could have just made up their workout for the day or could have gotten them thru online programs available. Remember, this is not be made for you! There should be a personal program! 2. If you have a medical condition like me, it is best to train under a PT so he will know your limitations. 3. A PT should be one you are comfortable to work out with, he or she will be your motivator and coach for a couple of weeks or even months. 4. 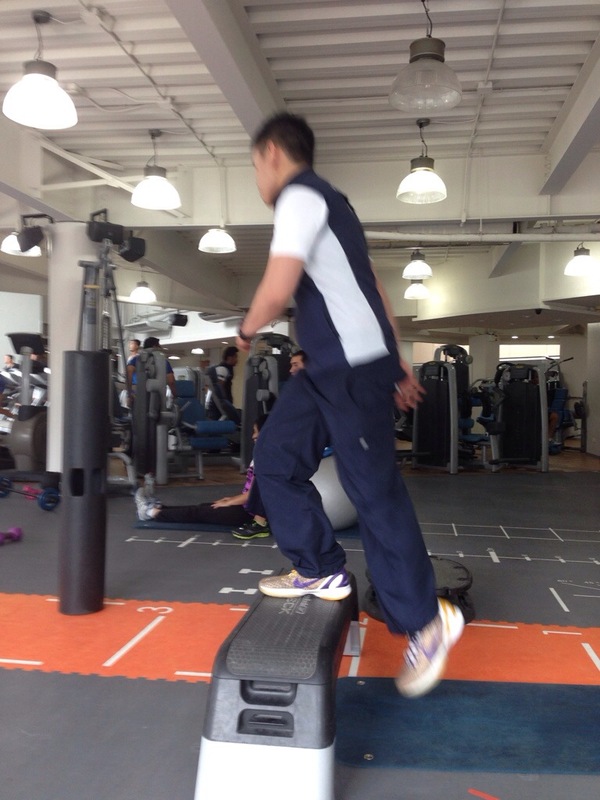 As one’s fitness level changes, a PT will be able to monitor the progress and adjust the workouts to the next level. 5. One can also discuss proper nutrition with PTs to compliment a fitness goal. 6. Hiring a PT will make your work outs injury free! Otherwise your next stop is the hospital and getting PTs (Physical Therapies) which are more costly! I’m not kidding, I’ve known some who got hurt while doing the wrong work out! But remember, PTs are not magicians, and can not promise you an instant six pack! However, they will be there to guide you to reach your goal, whether to lose weight, gain muscles, trim some inches off your waist, look thinner on your wedding day or simply be able to fit in on your old skinny jeans! There are a million of things I think of each day, that is why I let my Personal Trainor plan for my workout scientifically and safely. Leave your workout worries with your PT! Keep calm and Let’s get Personal! One great workout! Time for a souvenir shot! 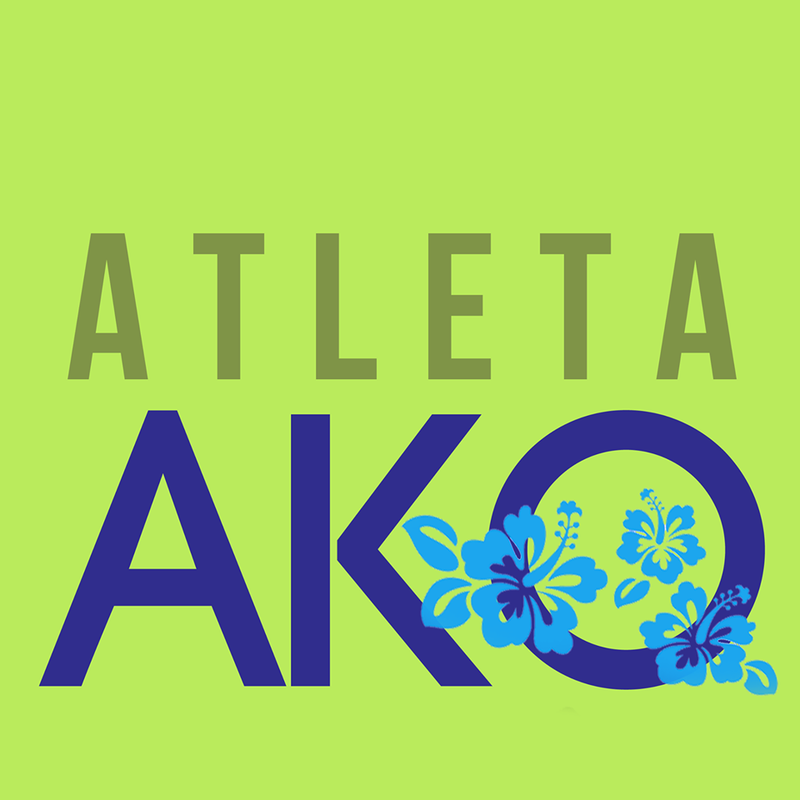 This entry was posted in Health, Motivation, Personal, Training, Triathlon, Women and tagged Fitness First, Let's Get Personal, Motivation, Women. Bookmark the permalink.